Our houses are perfectly insulated. It results in low heating costs. To prove a good insulation is necessary, we have presented costs of heating our entire model house below. Before the construction of a house, an energy-related audit in accordance with PHPP (Passive House Planning Package) methodology was conducted. The audit showed that the house would require 80Kw/m2/year of demand for energy. 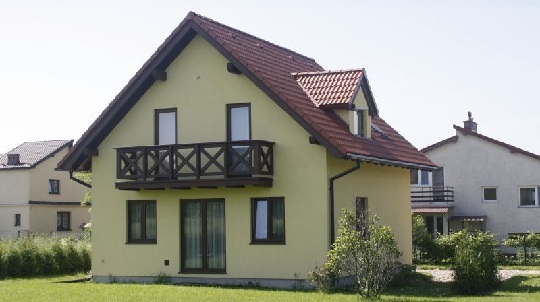 House with a surface of 97m2 and cubic capacity of 280m3 constructed near Cracow, unfavorable geographical orientation – north, due to restrictions on the lot, house with two permanent residents (adults). The diagram below shows annual central heating and domestic hot water heating costs. It is worth mentioning that there is no fireplace in the house, which is frequently used to heat house in the winter, and no dishwasher. Washing-up occurs in the water heated up in the gas boiler. Annual central heating and domestic hot water heating costs equaled PLN 1703 gross. These are total costs jointly with permanent fees, that is subscription, which is 16% of this amount. A total demand for gas was 841m3, that is exactly the same as PHPP calculations showed. Conclusions: although the house’s glass is dominant in the northern side (losses prevail over solar benefits), it is not heated by a fireplace, has no dishwasher, heating costs are still very low. Why? Because it is perfectly insulated, has no thermal bridges and is very air-tight. 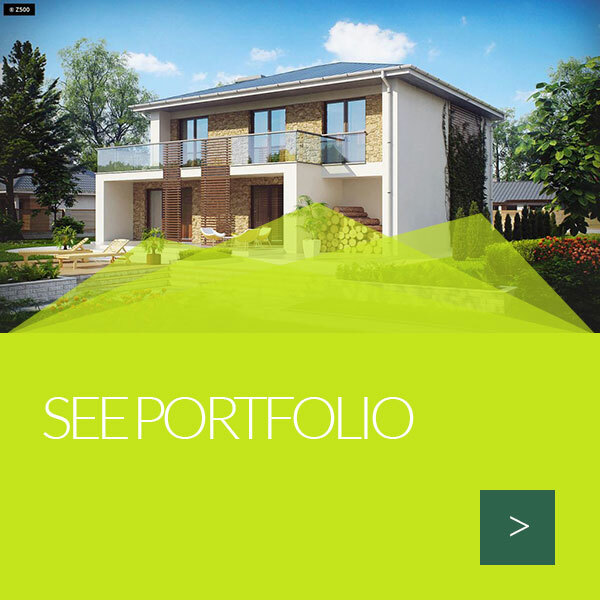 one of the most important principles of designing an energy-efficient building is to select suitable house proportions. The so-called A/V relation, that is the relation of the number of external wall barriers to the building volume is supposed to be as little as possible. The more compact the building, the more energy-efficient it becomes. For this reason, a ball or cylinder are ideal – it is difficult to achieve. One has to focus on houses with flat roofs, possibly gable roofs. Any sort of bends, jutties, balconies, dormer windows etc cause the heat-insulation properties to deteriorate – what is formed is geometric thermal bridges. The number of external wall barriers increases in relation to cubature. 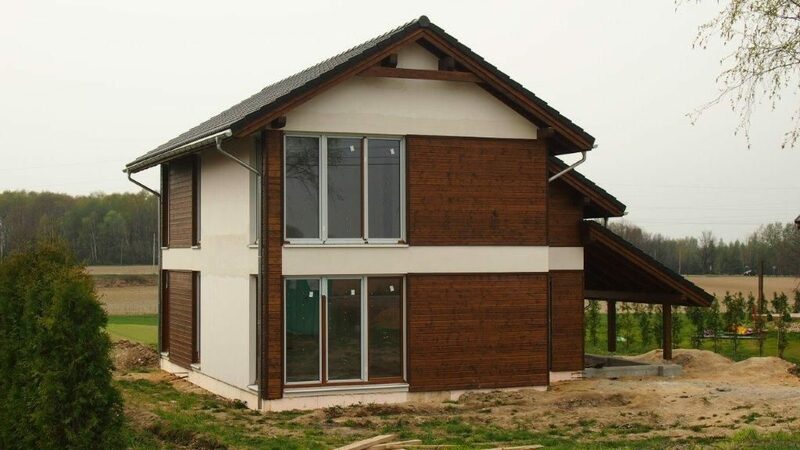 A shape and construction of an energy-efficient house are simple! towards directions of the world – a building should be designed in a way that assures that as much glass as possible is located in the south and west. North and east windows should be eliminated or if it is impossible, their surface should be minimum. Windows are a very important element in an energy-efficient house - why? it is best to provide triple glazing with U of the entire window – 0,9:0,8 W/m2K. One should design as much glass with the maximum window size as possible – no divisions, no mullions etc. 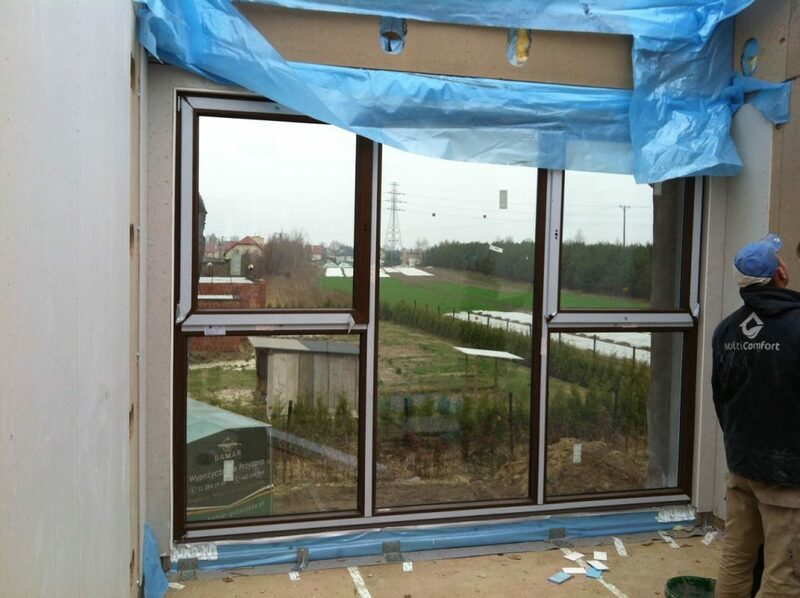 If some windows are not to be opened, their insulation properties and house leakage will be improved. What is also important is the way windows are mounted in the wall. To minimize the number of thermal bridges, which are omnipresent around windows, their assembly should be highly precise. Windows should be expanded outside the wall and assembled in the layer of external thermal insulation. Special flanges should be stuck around windows. They are supposed to seal the woodwork and wall. eco house should be equipped with mechanical ventilation with exhaust air heat recovery – that is with recuperator (heat exchanger). Thanks to the recuperator, we do not need to remember to design ventilation stacks, and the house is always full of fresh air. 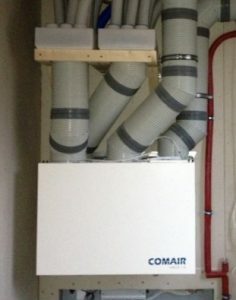 Thanks to this ventilation and application of a heat exchanger, we can obtain passive building cooling in the summer season. An energy-efficient house is not only related to heat and low heating costs in the winter, but also pleasurable cool in the summer actually for free! of materials specified in the Lambda parameter, a heat conduction ratio (the lower, the better insulating power of the material). For this reason, not only thickness of a foamed polystyrene determines the insulation but also its type. 100mm of polystyrene with lambda 0,039 W/mK will have worse insulating power than 100mm foamed polystyrene with lambda 0,032 W/mK. 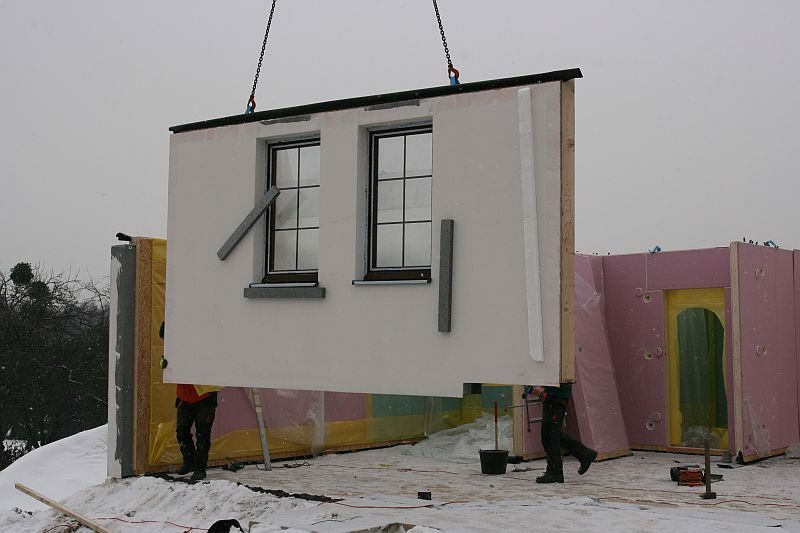 In MultiComfort houses the “warmest” polystyrene is used with application of Neopor whose lambda is 0,032 W/mK. 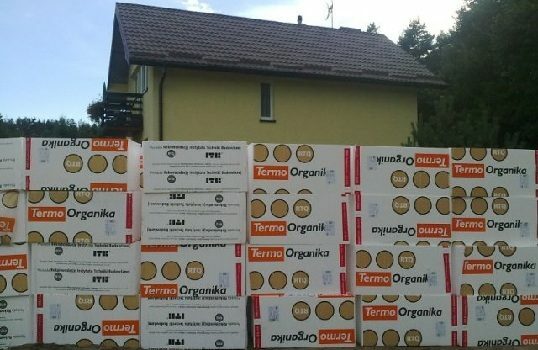 What also plays a vital role is the quality of insulation. 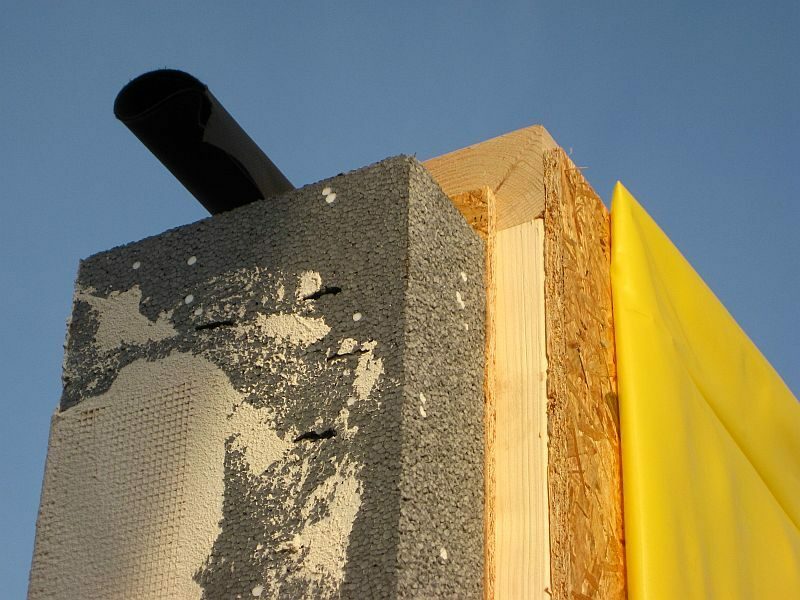 The better insulated the house, the lower the risk of emergence of thermal bridges. Roof structure as a consequence of improperly assembled film. Change of air is to occur via ventilation: gravity, gravity supported by mechanical or totally mechanical ventilation, and not via cracks in the walls.